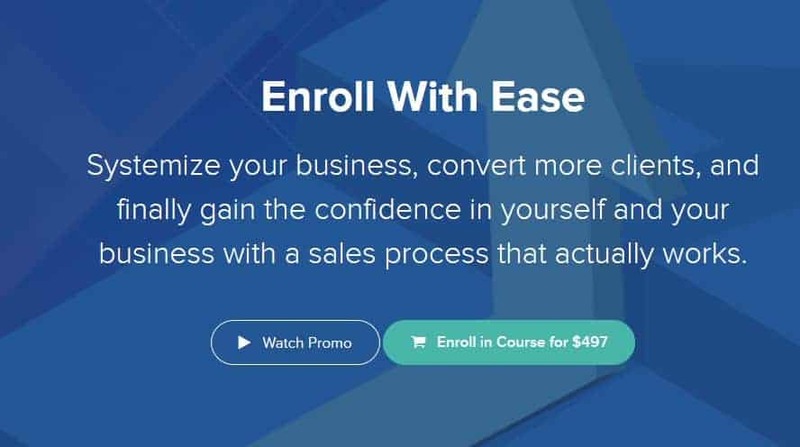 Systemize your business, convert more clients, and finally gain the confidence in yourself and your business with a sales process that actually works. I know those prices seems like a lot, but don’t worry. I’m not one of those scammy internet marketers trying to take advantage of you. I genuinely just want to help as many people as I can. That’s why the course will be going for much less than $1,500. This course the most effective online course for perfecting your client enrollment calls. Enroll with Ease is more in-depth, accurate, and actionable than anything out there, so you’ll see results as soon as your next call. I believe that coaches can change the world. But if you’re struggling with enrollment, you can’t serve the way you were meant to. That’s why I’ve packed my years of experience and expertise into one actionable and digestible course for YOU. My system works. But don’t take my word for it… I taught Sami the GROW method in less than 10 minutes and she closed the deal immediately. Are you ready to become another success story? You can be like Sami. You can approach sales with confidence and excitement. You can exponentially increase your income. You can learn how to enroll with ease. I’m sure you know what I mean when I say I used to hate sales. You have a consistent stream of leads, but you can’t seem to turn them into clients, so you end up living feast to famine - rolling in the dough or scrambling to pay rent. On top of that, you get bombarded by pushy businesses and you don’t know who you can trust. If so, CONGRATULATIONS. You’re in the right place. And you are NOT alone. If you feel uncomfortable with your sales process, your business, or yourself, don’t worry. Many coaches feel just like you and I’m here to promise you - it does get better. I know because I experienced this first hand… for years, I struggled with client enrollment. I used to hate getting on calls, and I would hang up afterward feeling drained and embarrassed. But then I realized... I spent 11 years in higher education - and not ONCE did anyone teach me how to do sales, much less to do so in a way that made me feel good. So I’m sure you never learned either. That means - if enrollment calls make you feel nervous, awkward, and uncomfortable, it’s not your fault. I know that we coaches can heal the world through the work we do. It’s our purpose on the planet: to help others be happier, healthier, wealthier, more connected and more fulfilled. We do this in big and small ways - from helping a single client feel more confident to launching huge initiatives that change the world. My purpose is to help coaches serve the world, in both the big and small ways. But I know that coaches can’t help anyone if they don’t have any clients. You may not feel like it all of the time, but you have a gift and you are doing the world a disservice if you don’t share it. That’s why I’ve poured my time, sweat and tears into this course. I did it so I can spread my gift...which will help you spread yours. It’s a win for me, a win for you, a win for your clients and a win for the world. It requires an investment of at least $10,000 to work with me one-on-one. I’m offering this course for only $497 because I want to spread this message as far and wide as possible. If you feel confident in your enrollment process, you can serve dozens more clients, add an extra six figures to your income, and finally change the world. This course won’t only change your business - it will change your life. This course will give you a proven method for enrolling new clients. It will give you more income, more confidence, and more happiness. Most importantly - it will give you the tools you need to serve more people and spread your gift. How much is that worth to you? I believe it’s truly priceless. But for the next few months, you can get this course for only $497. I’ve invested over $200,000 in more than a thousand hours of coaching for myself (and it has all been absolutely worth it). So, if you’re the type of person that likes to take advantage of excellent opportunities, buy this course today - before the price goes up. I’m so confident in this course that I’ll even give you a 100% money back guarantee. If you can prove to me that you’ve actually gone through the course and applied the recommended techniques and you’re still not satisfied, I’ll give you your money back. Just like that. This stuff really works. So I really don’t think you’ll want the refund. It’s us coaches that are changing the world. Don’t let the fear, discomfort, or frustration of client enrollment hold you back. The world deserves your gift. - How to ask for money without feeling awkward so you'll get the compensation you deserve – and you’ll feel good about it. - That you can now enroll with ease whenever you want! Start your journey to easy enrollments by clicking below. Remember - there is no better investment than an investment in yourself. You’re here to serve the world. Don’t let enrollment calls get in your way. Sign up for this risk-free and get started today. If you buy today, you’ll get FREE access to my “Reclaim Your Life” course, a course that will help you figure out your life goals, accomplish them, and manage any bumps in the road along the way. Normally priced $297, you’ll get access to this course for FREE if you buy right now. Be sure to sign up now. This bonus will expire soon! 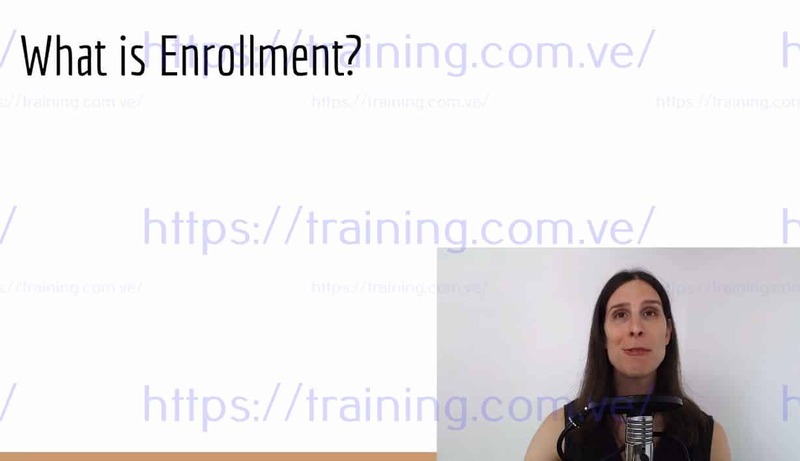 Sam Alvarez empowers visionary coaches to take control of their enrollment process, using time-tested and proven methods. Sam shares these methods through free content, her paid "Enroll With Ease" course, and individual coaching. If you work with Sam, you’ll learn to cultivate confidence, clarity and consistency - in and out of your business.